Revised: The advice in this article is as timely today as when I first wrote it years ago. I have updated it with more current images to illustrate the article better. This is a more in depth How To article while that one is a good overview of the process and benefits of covering these shows. I lived in the New York and New Jersey area all my life and have traveled globally. 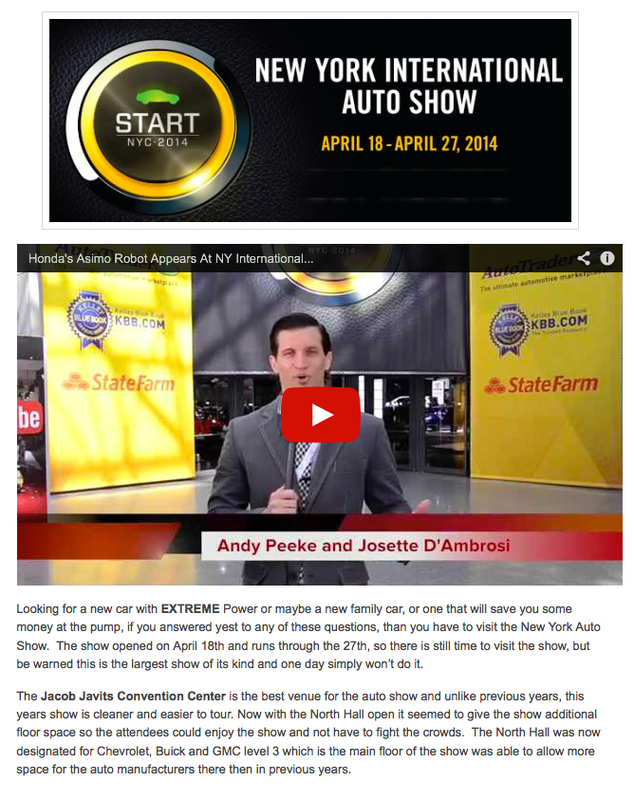 I have attended literally hundreds of Trade and Consumer shows over the years. The shows have ranged from the Video Software Dealers Association shows years ago in Vegas (where I was an exhibitor myself) to so many others here in the New York area that it would take pages to list. You can see many of the most recent ones by checking some of my many articles on our IMPress website. 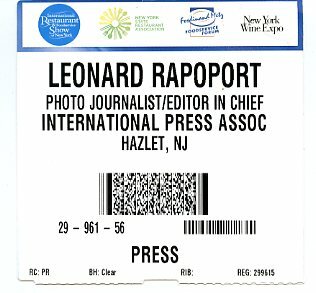 I cover the PDN Photoplus show each year at the Javits Convention Center in New York show and we have been fortunate to find a number of leading companies in our industry who have sponsored our show reviews and videos. Since I have reviewed a number of them in the past, see my 2013 PhotoPlus Show with videos to get an idea of what they are like and how I cover these shows. Trade and Consumer shows come in all shapes, sizes and colors. You don’t have to live in New York to go to one; every major city has trade shows – Chicago, Miami, LA, Dallas…Mumbai, Paris, London, Beijing…and anywhere else you can name. It’s truly an international phenomenon, and any of our members can take advantage of the opportunity to cover a show near them. If you haven’t covered any trade shows and you are an IPA member, you are missing a great experience. Trade shows are very interesting and can range from Photo and Computer Shows to those that deal with Gifts, Food, Beauty, Flowers, Travel and so much more. In the New York area alone, there are many shows that IPA covers, since they are local and easy for us to get to. 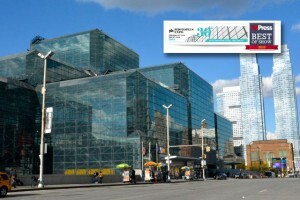 Many are held in NYC’s Jacob Javits Convention Center in the heart of Manhattan, while some of the smaller shows are held at hotels and other venues. Because of our limited volunteer staff at IPA, I try to handle many of the major local shows myself and you can read many of my reviews in our reviews section on our site. If you haven’t been tempted to check out the many trade and consumer show articles our IMPress site before, I highly recommend it. Adults need relatable examples and they learn best by doing. Read through these reviews and get a feel for what to look for at a trade show so you can tell a story with your words and images. More about that in a bit. Perform searches on the internet, contact some local trade associations, even networking with your colleagues (or our IPA affiliates) on LinkedIn and Facebook can turn up events in your area. Local print magazines often promote all sorts of shows and events, same with the newspapers. Don’t be afraid to step out of your comfort zone and venture out of your immediate region. If you are traveling to another city or country, do some research and see if anything is going on when you will be there. Not only is it worth your effort to hop on a train, bus or get in a car but it can be a lot of fun and help you develop your portfolio showing others that you do travel to events and may even cover international ones too. I know there is always something going on in a city or country that I travel to and usually make arrangements before I leave to gain my access. When I arrive, it is great; I spend a wonderful day at a wine tasting event, or a Lobster Fest and end up getting some great photos and a story too. You will learn the best ways to cover these events for IPA by reading all the information on our blog and web site and by looking at our reviews and those written by other members. One of the best ways is to look for a similar event article or review on the net, in print publications and even those covered by the broadcast media to see how the pros do it. As you read in a recent IPA blog entry, “Media Access to Events – What You Need to Know” we have tried and true ways to approach the PR Department of any venue to gain event access. And one of the ways to lay the groundwork for obtaining that access is to list it on our Events calendar. Create An Impressive body of your work on our sites. Go to their media or press page on the shows site and register there. Read their requirements for Press Access to their show. If you have not yet published articles or images on our sites, than direct them to similar reviews to show them our publications cover these types of events. Wait for a confirmation that you were either approved or denied. If you are denied access they may tell you why and you may still be able to overcome their objections, we will try to help you if we can to gain that access…but remember, if you do the work, you have a better chance of gaining important media access. We may seem a bit repetitive in some of our articles, but you will notice we are consistent with our approach. These are time proven methods and they work. You do not have to be a staff member at the Wall Street Journal to qualify to cover trade or consumer shows. You do need to read our articles and follow our guides step by step to achieve success. Remember that a PR Rep will normally ask to see your previous work. By now, you’ve read about the value of shoring up your profile. Even if you haven’t published a similar article you still may get approved. It is the media outlet they are most concerned with and not necessarily you. You are just a stringer [A part-time or freelance correspondent for the news media] covering the event for IPA and IMPress Magazine. People in the media know what that means. It is easier sometimes to explain your lack of these types of articles on your profile this way. At shows and events, if you have your own business cards bring them with you so you can hand them out at these shows, explaining that you are available for other assignments. Your Press Card is your ID when you arrive at the press office to pick up your media credentials, so be sure to bring it with you. Make sure you include them in your photos, holding their products in their hands and make sure you show their company’s name in these shots. Take their cards, promise they will be in your slide show and email them when it is posted and on our site. If you don’t do a slide show when covering these events, you are making a big mistake. Review our articles on creating videos and slide shows, many photo programs and even photo sharing websites now offer the ability to produce nice slide shows or videos. Tip: Remember to pack extra batteries for your camera or expect to pay $8 for 4 AA batteries at the show. At a recent Health and Beauty Show we attended in New York, we had a staff of 4 covering the show. We were given free tooth whitening treatments ($100 cost each at the show, $200 or more at your dentist), we had facial treatments, moles, spots and other things removed from our faces and of course ended up with a bag full of sample products. In many cases they gave us a full package of their products to enjoy. 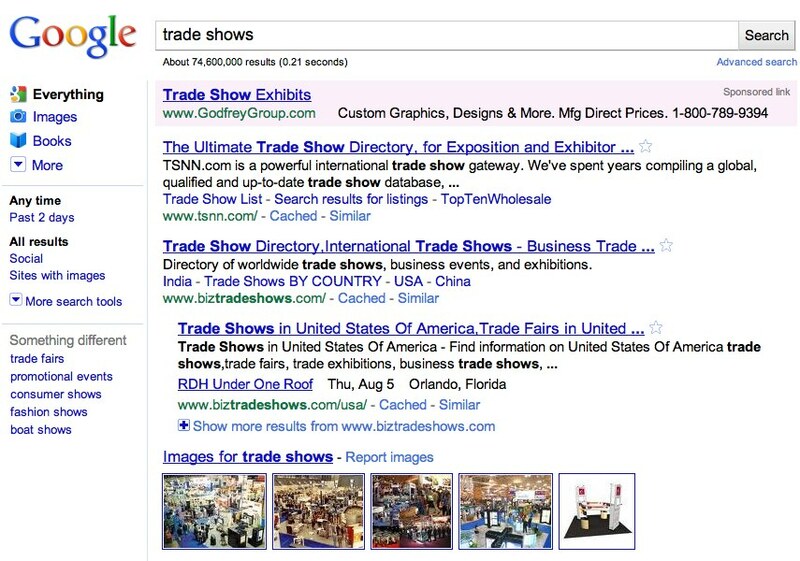 So going to trade shows will not only sharpen your ability to interview executives at many companies, but it will give you the opportunity to write reviews, produce great photos or videos which you can publish on our website and of course enjoy learning and using these companies products. As a side note, I was contacted a few months ago by a TV Show to find out if they could use one of the photos in the above show review. They were doing a piece on teeth whitening and probably found the photo on a Google image search. I received $300 for the use of that photo. Be sure to label all your photos with Alt tags or a descriptive title (in this case mine was teeth-light.jpg) when you publish them or some other copyright information. So, are there perks to attending trade shows? As you saw from my previous comments, I have received all sorts of goodies as is the case with most people who attend these trade only shows, but because I am writing an article and taking photos, very often they want us to be the models taking their treatments or trying their products. I love the International Beauty Show because they sell all sorts of product to the attendees at about 1/3rd of retail or less. When I work with some of these companies they want me to try their products, so I either get tons of small samples or full packages of product. Rusk is one of my favorites at this show and I use their products now for my hair. It is not mandatory that media members receive “freebies” or discretionary gifts but it is a customary way of publicizing products and thanking media in advance for (hopefully) positive coverage. This has been going on from the beginning of time. If you watch a TV show and they are recommending some toys for the holidays, don’t think that those toys will ever go back to the manufacturer. Interestingly, people tend to forget that writing an article is much like writing a letter: you always need an opening, a body, and a closing. If you keep that in mind, you have the basic set-up. Not everyone can take a subject and make it jump off the page; make their readers feel as if they were actually there. You want to give people a sense of what it was like at the event – not just a rundown of the schedule and vendors. I love to insert one of my best photos a slide show or a video in my articles to liven them up. This than becomes an interactive review, which we have all become accustomed to on the net. Here is one I did at a recent show. As you can see it gave me an opportunity to highlight some of the exhibitors’ new products. This is one of my videos with the help of IPA correspondent Andy Peeke. Watch this to see how we do it in New York. If you don’t have the ability to have your own correspondent with you, you can still do these with your voice off camera and a shot-gun mic facing your subject. We have other How To articles that will help you. Remember, if you are having fun, tasting all sorts of treats, getting a beauty treatment, meeting famous celebrities, then your article will show it. You are not being paid for your assignments, you accept them to have fun, meet new people (some can be potential clients), get exposed to a different world, see what a press room looks like and how they operate, pick up press releases to study when you write your article, do it to learn your trade and what else? Yup, have fun. A catchy opening line is great, but then be sure to give the full name of the Trade or Consumer Show, what they show/exhibit/promote, when the show ran (not just the day you attended, but indicate the length of the show’s run) and where the show was held. Of course I always add the attendance and the number of exhibitors and always mention the company and organization that runs the shows. These show reviews can’t be too long or you will lose the reader. By the time you load the review with the facts, the images or slide show/video and your Best of the Show, there isn’t much more room to say anything else, so you have to keep it tight. I tend to spend a great deal of time researching links that can give my readers some more information about the show. It might even be a post show press release at the organization’s web site. Remember, unlike a review of a single company and their products, this is a SHOW review, remember this as you wander through the aisles of the show looking for stand out products. Include lots of photos in your article (everyone loves to have their photos taken and other loves to see them). Take shots of their products too, but remember, you can pull better product shots from their website for your review or slide show. Remember the old saying, a photo is worth a thousand words, so how many words would it take to describe the 100+ photos I shoot at a show? As I mentioned before, I like to include a list of companies and their products with a brief summary of what I liked about their products. I always have my list of favorites and since we are a web-based magazine, I link to their website. When using their photos in the article I also link to their site or to the product pictured as well. This shows them that we can send them traffic and the show organizers appreciate this as well. See our Curve Show article here. A show article should include a nice selection of interesting or unusual products or companies that would be of interest to our readers. There are literally hundreds of products and companies that deserve to be mentioned and I can only list a handful in my short reviews, so these reviews are always positive in every way. You must be selective in who you will FEATURE in your review and those are the ones to concentrate on. Try to tell your story with pictures, videos or slide shows. Remember, our collections of photos or photo galleries will also display the images as a slide show too. Also include links to those companies you want to feature in your review. Be concise and crisp, professional and approachable. If you do that, you will be welcomed back to these events again and again. doing a show review and would like to include them in the review. Let them know we will also link to select companies web sites and send them traffic from our site to theirs. If you have prepared a little IPA presentation book (we will cover this in a future post), take it with you and for those that may not know who IPA is, you can show them your book and your previous work at these shows. I usually ask them “Do you know who IPA is? I usually get a funny look on their faces and then continue. I tell them that IPA is an organization made up of members of the media and we publish our own web magazine where this show review will appear. Our site sees many thousands of visitors each month and some of the selected companies at the show will be featured in our article and will have a link from our site to theirs. Let me show you what our site looks like” Then I pull out my book. I take my iPad with me to every show and this way I can show them my work so they know what I do and who we are. I also have a selection of my best videos and photos in the photo and video area of my iPad so I don’t have to continually download them from YouTube while at these shows. You will be how people will open up to you once they see who we are and the quality of our publications. Exhibitors are happy to explain their products or services to you, after all you are the media and they want the publicity. Take their cards and record the information if need be so you can go back and grab some of it for your review. Ask them if they have a web site and if it would be OK for you to use some of their images, they all say yes. I also carry a small Olympus digital recorder with me just in case I need to record some information or take notes. Easier that way then using a camera or smart phone for me. Manage your time and don’t take a lot of time with any one exhibitor, the shows are huge and even if you are selective will take an entire day to cover. Remember to take your best digital camera and be prepared to take photos and videos if you know how, take their business cards and take all the goodies they will want you to take home and try.